If you’re going to thrive in today’s market, you’ve got to disrupt. And the underlying success element is the culture of your organization. Chris Edmonds has found that you can drive up profits up by 30 percent or more through creating a culture that’s capable of disruption. Chris is a business growth coach who has helped clients boost results and profits by 35%, employee engagement by 40%, and customer service by 40% – all in 18-24 months. The author of seven books, including Amazon best sellers The Culture Engine and Leading at a Higher Level, a blogger, podcaster, and video caster at DrivingResultsThroughCulture.com and CultureUniversity.com, smartblogs.com. And he’s a performing musician with Denver’s Brian Raine band, chris-edmonds-music.com. Mark S A Smith: S. Chris Edmonds! I met for the very first time on Twitter! Chris Edmonds: It was a social media-driven relationship way, way, way back then but then we did the face-to-face thing because we have a mutual love of music and guitar. Mark S A Smith: That’s exactly right. Chris is an extraordinary human being that focuses on making people and organizations so much better. 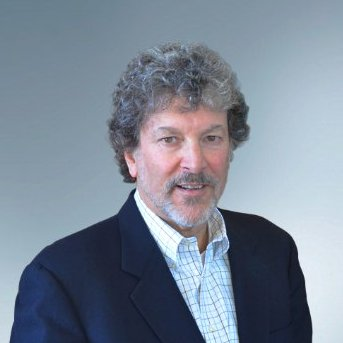 He spent years, I’d say decades working with the Ken Blanchard organization helping people do what Ken, the master of the One Minute Manager and many, many other things, did best. When I met him, he was doing tweets about leadership. Of course, he was tweeting about his band. We connected, did the face-to-face thing. I got to play some of your guitars and some of your vintage amplifiers and had to buy some guitars and have some on my wish list, thanks to you very much. Chris Edmonds: It’s a B-bender fetish, folks. Chris Edmonds: That’ll be another episode. Mark S A Smith: A completely different episode on the B-bender. Chris has authored seven books including Amazon best sellers, The Culture Engine, and Leading at the Higher Level Today. 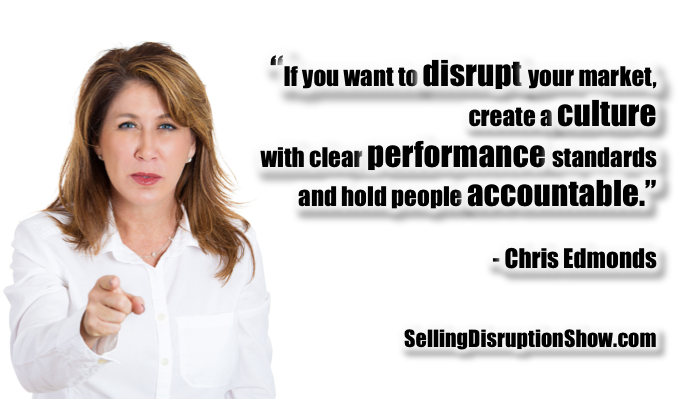 I want to talk with Chris about using culture to create a Disruptive Selling Organization. So good to have you on the show, Chris. Chris Edmonds: Mark, so excited. You and I don’t get to see each other as much anymore since you’ve moved to the beautiful warmth of Las Vegas. I’m still up at 8400 feet in Colorado. I miss you, man. Mark S A Smith: Thank you. I wave at you as you fly over on your way to doing your gigs. Chris Edmonds: There’s a lot of that. Mark S A Smith: That’s for sure. Mark S A Smith: Tell me, how have you helped your customers disrupt their market by helping them work with their culture based on the work of your, The Culture Engine book, which I’m holding in my hand right now, published by Wiley. That’s impressive. Chris Edmonds: I know, I know. Very exciting. That was very cool. What’s very interesting with leaders is they have learned over their years to focus on stuff, stuff being production, being sales, being widgets, being market share, being branding. When they begin to evolve, and sometimes they evolve because of a challenge, because of bad behavior, because of customers fleeing for whatever reason, sometimes it’s their own clarity. The fog lifts and it’s like we have a culture that is much more individually focused, rather brutal, the I-win-you-lose kind of a dynamic is very, very common. Mark S A Smith: Very common. Chris Edmonds: Yes, you can get short-term gains for a period of time that you focus upon that, but if you really want people to have their hearts in the business, if you want your salespeople, if you want your employees to feel trusted, honored, respected, then you got to start to look at how are people treated internally. Chris Edmonds: Because if they’re treated internally as cogs on a wheel, pieces to a broader puzzle, that if the company’s successful, my share of that is really very, very small, and so I’m just going to focus on the money thing, then you’re getting a very, very small part of that overall human. If you really want customers to be wowed consistently, customers to feel cared for, god forbid, authentically cared for, you’re not going to get that with a salesperson’s approach, an employee’s approach that is very self-centered. You’re just not going to get the relationship to go very far. I see disruptive as a couple of different things. Number one, I want to disrupt leaders thinking about what their job is. Mark S A Smith: That’s what starts selling disruption. Disruption starts at the leader level. Chris Edmonds: Absolutely. It’s interesting because what you and I are doing is challenging their world view of what a good job looks like. Chris Edmonds: My approach is congratulations, you’ve been managing results and profits. Good for you. That’s exactly half your job. They look at me like I’m from another planet, but then I say, “Talk to me about your best bosses. What did your best bosses do? How did they create an environment where you gave your best? You actually were applying discretionary energy to serve customers, to serve the company to, my god, even serve your peers to have the team move forward, not just me individually. That challenge of what a leader’s job really is is the first disruption because if I get a lever in there, and you’re in the same boat, if you can get a lever in there, it opens up this whole wide world of how are people being treated. What are you actually incenting every day? If you’re incenting stuff, then you could, in fact, inspire really bad behavior. Mark S A Smith: Sure, it happens all the time. Chris Edmonds: Then you’re shocked at why are good people leaving? Why are these customers who used to be treated so well so disappointed now in the relationship and in our promises not maybe being fully delivered? That disruptive piece is first with the leader and then it’s congratulations. If half of your job is managing performance, then the other half is managing citizenship, inspiration, discretionary energy. If it’s about positive authentic relationships, now you’ve got something that can sustain itself, yet the knowledge shift is 10% of the work, 90% of the work, once I get leaders to say, “Wow, our culture really is much more dull, anxiety-ridden, I-win-you-lose backstabbing, call it what you will. We’ve heard that language from leaders’ mouths for decades. Chris Edmonds: Let’s now shift it to fun, inspiring, aligned. I’ve got a team behind me. We’re all going in the same direction. That isn’t going to happen by default. What happens by default is; a) we respond to the leader’s messages. If the leader is only driving performance, then that’s what we do. Mark S A Smith: Customers don’t give a damn about your performance. Chris Edmonds: The thing that gets very interesting about customers, they’re very smart, I love that. Employers are very smart too, by the way. We can speak more about that in a moment. But customers say if performance is your only gig, then I’m going to go to a provider that saves me 5% and I’ll never look you in the eye again. It’s not about long-term. It’s not about a legacy relationship. It’s transactional. I don’t think that the businesses that we really want to emulate, the Ritz Carlton’s, the WD-40s, the Starbucks, that is a relationship that’s heart-driven. Chris Edmonds: The employees love it. The customers are frickin unbelievable raving fans, to use again, Blanchard term, and that’s not going to happen if the only thing you’re looking at is results. Mark S A Smith: That’s right. The interesting thing is with the adoption of Cloud-based technology, and people moving to a relationship model versus a transactional model, and from a business standpoint that’s where all the money is. The money is in the relationship going on week after week, month after month where people come back over and over again versus a single relationship. That requires a completely different approach to the culture because it’s not about one and done. It’s about one and one and one and one and one and one and one and wonderful and wonderful times. What’s very interesting is that even some of the folks our age, my age and older, I’ll put it that way, Mark, we still use technology to go and check out, “If we’re going to this restaurant, let’s go see how they’ve been behaving with customers here in the last six months.” We stop and we go check it out. Mark S A Smith: Everybody does. We are review-driven. Chris Edmonds: We are. It gets to that social buzz that’s so powerful. I’m amazed. I think if I was looking for a job today, I’d be so thrilled at having Glassdoor to look at. Mark S A Smith: No kidding. Mark S A Smith: There’s a culture revolution. The really great thing about social media is it amplifies good word-of-mouth and it amplifies bad word-of-mouth with video and pictures. Chris Edmonds: It does. Live. Mark S A Smith: You can be tanked and notice that on social media, it’s about how people feel, which is culture-driven. Chris Edmonds: It’s the experience. Mark S A Smith: Yes. Which is the brand. Chris Edmonds: It is the brand. I think there’s a great deal, greater pressure, responsibility on the shoulders of leaders to now try and figure out, “I’m just trying to get widgets out the door.” Yes, but the rest of the experience from the employees’ side to the customers’ side, if you’re not proactively paying attention to that, it’s going to go wrong. It’s going to go wrong really big and really loud. As I work with leaders, again, that first disruption is about you’re managing a culture. Sorry. I know you didn’t sign up for that and I know you’d like more money from the company because now I’m going to manage the other half of my job proactively. The reality is you will get more money. It gets to the issue of how are people, how are employees feeling about the work they do, whether or not they’re feeling appreciated. Tiny HR is a little company out of Seattle that in 2014 did a study called The Employee Engagement and Organizational Culture Report on Tiny HR, exactly as it sounds, and stunning. Absolutely stunning work; 200,000 responses. They found that 64% of employees believe that their organization does not have a strong healthy culture. Mark S A Smith: That’s amazing and true. Chris Edmonds: It is true. I’m thinking I’ve actually seen worse numbers than that. The big driver for me was only 21% of employees felt strongly valued at work. Here we’ve got this employee relationship that’s not very good. 79% of employees do not feel strongly valued. That’s awful. How can leaders look at their first customers being the employee and what’s the work culture environment that they have, by default, crafted. There may be some good things. There may be some dumb things. The idea is how do we get these leaders to be as intentional about culture and the health of the culture as they are about the performance metrics. My approach allows leaders to take that wonderful skill of clear performance standards, which, by the way, many organizations have, not all of them, but then the second piece which is holding people accountable for those performance standards, which, as you know, widely varies. That’s the hard part. If that’s half the leaders’ job, then what I help leaders do is to get as crystal clear about how people are to treat each other in the form of behavioralized values and then hold people accountable for those behaviors so that there’s an equal clarity about what’s important from a performance standpoint, results standpoint, and a citizenship value standpoint, and you’re holding people accountable for both. Chris Edmonds: What’s fascinating is this is a process. This is probably an 18-month plus process. All the senior leaders have to be aligned. Could a department manager in a store somewhere do this with their own 10, 20-person team independent of any other formal effort on the part of the organization they’re in? Absolutely, but the benefits to having clear values and behavioral terms and holding people accountable to those is my big three. The first big three is employee engagement goes up by 40%. That’s pretty tangible. Second thing is that the customer experience, the customer’s satisfaction goes up by 40% as well, but the big one is results and profits go up by 30%. As you start to try to educate leaders about what’s in it for them as leaders, what’s in it for the company, what’s in it for the employee, what’s in it for the customer? Everybody wins. It actually means that if you have a culture that is not fun, not inspiring, not engaging, in fact, it mostly discounts, demeans and frustrates people, then what you’re losing is money on the table. It gets to that one off, one off relationship. Mark S A Smith: Here’s the best part. Not only does the money come off your table, it goes on to your competitor’s table and probably forever. Mark S A Smith: No, there’s no reason. Chris Edmonds: … no value, no relationship. There’s plenty of other providers I can go play with. Mark S A Smith: Trust me. I don’t have to put up with the one store. Our world has changed from one general store in town, ala the Little House on the Prairie where if you piss off the storekeeper, you didn’t get your eggs, to where I can pick up my phone, I’m not calling anybody, I go to Amazon Prime and have stuff delivered two hours later. It’s a completely different world. What we set our culture on in the past was in one direction which was required by the environment we were in. Folks, it’s a completely different thing. We have to be disruptive. Now, some of our listeners may not be a leader today. They’re a leader in training, so what can we do about personal culture to disrupt selling? Chris Edmonds: It’s so fun. It’s so fun. Mark S A Smith: I know. Chris Edmonds: One of the biggest levers here is to have people stop and think about how they treat other people. It’s an often rather sobering view because if I start to realize if I go into an organization and I’ve born and raised wherever, parents, teachers, coaches, influence the way I see the world and where I can provide value in the world, and yet I go into an organization that’s I-win-you-lose, oh baby, I’m going to play. I’m going to take that competitive drive and I’m going to screw my buddy with the best of them. We start to look at what’s your personal view of your place in this world, not we’re getting kind of heavy here, which is cool but it’s what’s your personal life purpose? What’s your reason for being? Who are you trying to serve and to what end besides you winning? That’s an interesting question to engage in, and then secondarily, what are those values, principles that you know in your heart are the right ways to live this life and then how are you treating other people? Are you actually living those values? I just love this process because when I work with leaders, their pre-work is to do their own personal life purpose. Mark S A Smith: Love it. Mark S A Smith: That’s disruptive. Chris Edmonds: It is very disruptive. Where it gets is I would love for people, no matter what the organizational culture is that they live in, no matter what the dynamic is, where they are in their leadership opportunity, because my belief is everyone’s a leader. You’re leading by your behavior. I would rather have people start to realize that I need to be more intentional and I need to figure out who the heck I am. We probably know. We’ve just got it all dusty somewhere. What are my values and how was I raised? How do I want to be seen? What’s my legacy and my day-to-day interactions? If we can get people to start to be nice, to be civil, to follow up on what they promise, to do what they say they’re going to do, we would have way less stress in our lives. Chris Edmonds: Certainly, we’d have better relationships which we know can help a business relationship. It helps peer relationships. It helps people have greater influence in their lives and that’s certainly a huge, huge frustration today. We’re feeling like, “What do we all stand for anymore?” We can make that clear to ourselves and set that path through the jungle, through the snow, call it what you will. We can pave a path that is aligned to our purpose and values and live that way and be a much happier person for it. Mark S A Smith: Excellent. Your book, the Culture Engine, really impresses me out of all the culture books that I have read. Mark S A Smith: … and quite frankly, very disruptive. Mark S A Smith: You read the book. You do what Chris recommends and you are disrupting your industry, your organization, your life for the better. Always the case. Mark S A Smith: You have something you’d like to offer to our listener, Chris. Chris Edmonds: I really do. I would love people to buy the book. What a surprise. The book’s available on my website which is, drivingresultsthroughculture.com and it’s also available on all the major booksellers; Barnes and Noble, Amazon, et cetera. I would love for folks to buy the book. It’s available in e-reader format, if that’s your gig, but because of the nature of the journal and worksheet-like approach, I would hope that you’d grab the book and use that journaling piece, that worksheet piece because I think you’re going to find it’s going to serve you pretty well and your families, god forbid, in your neighborhoods and communities and it can really make a huge difference at work. Mark S A Smith: Even if you’re just leading yourself to where you want to go, leadership and culture is so important. Thank you, Chris. What a delight to be with you. 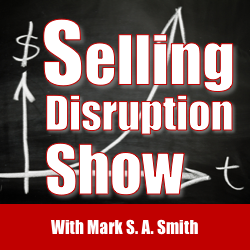 The link will be on the show page, the sellingdistruptionshow.com. Click on Chris Edmonds and there’ll be the link to Chris’s website as well as a link so that you can pick up the book from Amazon or wherever you happen to be. Mark S A Smith: Chris is also available to work with corporations and organizations. I’ve got to say that at least as of the recording of this session, Chris’s fees are extremely reasonable. Chris Edmonds: Which means I should fix that. Chris Edmonds: Reasonable is okay. Mark S A Smith: Reasonable is okay. Chris likes to stay employed and so if you’re doing more than 5 million a year, I guarantee you can afford Chris. If you’re doing more than 100 million a year, you need to hire Chris. It’s a real delight, Chris. Thank you. Chris Edmonds: Mark, thanks for the opportunity. I so appreciate talking about this kind of disruption in people’s lives.